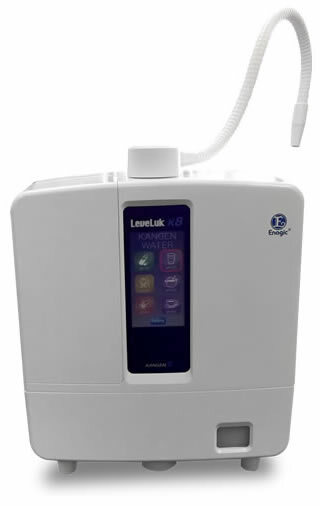 The Kangen® 8 is now Enagic®’s most powerful antioxidant machine – featuring 8 platinum-dipped titanium plates! This additional electrode plate increases the electrolysis surface area, improves water ionization, and heightens the antioxidant production potential. You have done your research about Kangen Water, you have read all about the great things that hydrating with the Enagic Kangen Water System could benefit you and your overall health. Now you’re ready to order your Kangen Water Machine Online but you don’t have a Sponsor or a Sponsor ID#. Categories: Alkaline food, Alkaline water, Chemical reduction, Chlorine removal, detoxify, Hydration, improve health, increase energy, Ionized water, Kangen water, Restaurants Hotels Motels Gyms Spas Water Filtration, water therapy | Tags: alkaline water, Canada, Dealer, detoxify, Enagic, Enagic Kangen Water, Enagic Kangen Water System, Kangen, Kangen 8, Kangen water, made in Japan, micro-cluster, Quebec, Sponsor, Sponsor ID, super anti-oxidant, titanium plates | Permalink. Invest in your health and start a part-time business promoting and referring others to Enagic Kangen Water Systems . We’ll be happy to be your Sponsor! !